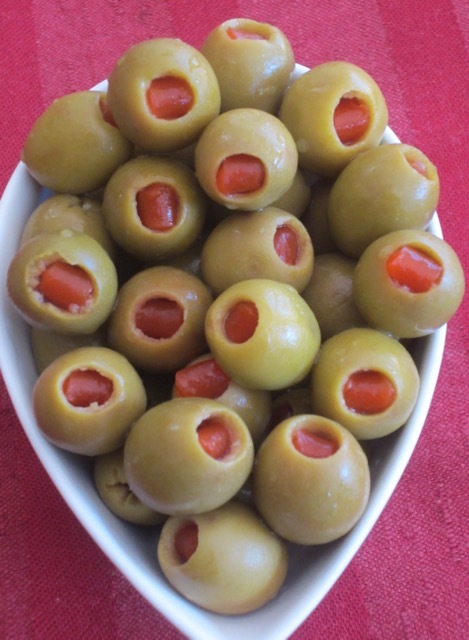 What is Pimento Stuffed Olives? Why are green olives stuffed? 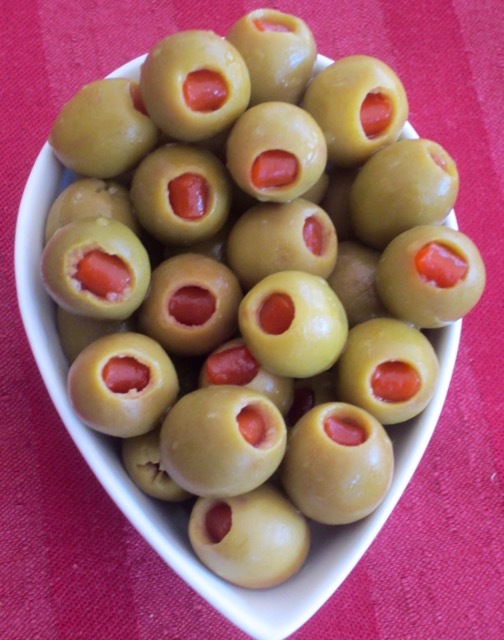 When green olives are harvested, they are very bitter due to presence of a phenolic compound called oleuropein. To make them palatable, they are cured and fermented to remove oleuropein and other bitter phenolic compounds found in unripe fruits. The curing process results in a strong salty flavour. 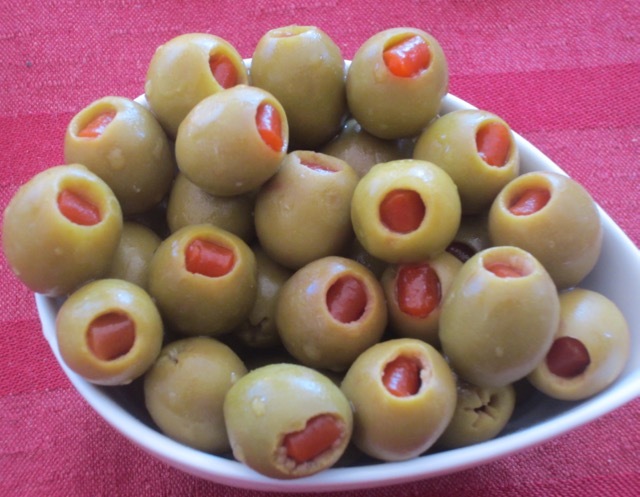 To balance the strong salty flavour of cured green olives, they are pitted and stuffed with Pimento (Cherry Peppers). The flesh of Pimento (Cherry Pepper) is succulent, sweet, aromatic and more flavourful than bell pepper. Green olives are the iconic olives cocktail olives. They are used for Martini and Bloody Mary cocktails. Stuffed olives are also great for snacking or for fresh preparations like salads. They can also be used in sandwiches, bruschetta, or panini. They can also be used in cooking meat, poultry, pasta and vegetable dishes. 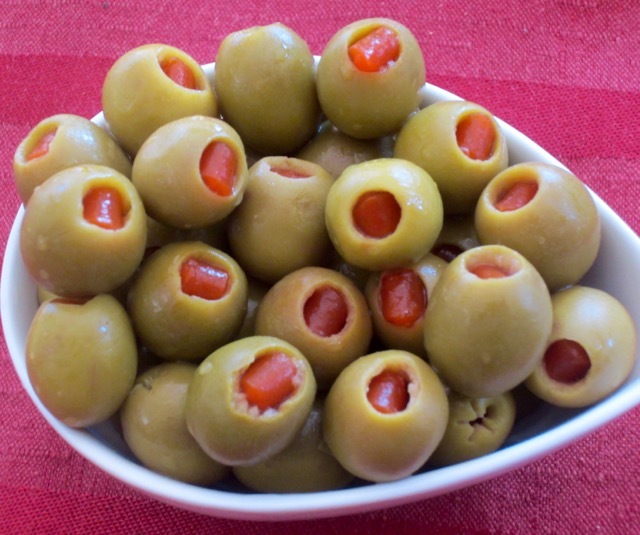 There are numerous recipes that call for green olives. Prev What is Pimento (Cherry Pepper)?